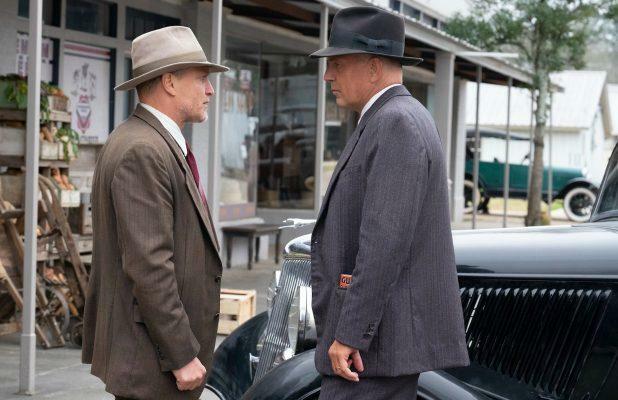 Netflix announced on Monday that its upcoming film, “The Highwaymen,” starring Woody Harrelson and Kevin Costner will debut on the platform on March 29, 2019. The film directed by John Lee Hancock (“The Blindside”) follows the untold true story of the legendary detectives who brought down Bonnie and Clyde, during a time when outlaws made headlines and lawmen made history. When the full force of the FBI and the latest forensic technology aren’t enough to capture the nation’s most notorious criminals, two former Texas Rangers (Kevin Costner and Woody Harrelson) must rely on their gut instincts and old school skills to get the job done, according to Netflix’s description. Hancock last directed “The Founder,” starring Michael Keaton. The story of Bonnie and Clyde is infamous. The two outlaws were most famously portrayed by Faye Dunaway and Warren Beatty in 1967. That film is based on “Go Down Together: The True, Untold Story of Bonnie and Clyde” by bestselling author Jeff Guinn. Oscar nominee Shelton Turner (“Up in the Air”) wrote the screenplay, while Johnny Newman (“Narcos”) added revisions. “Love Is a Gun” follows the emotional story of two of history’s most famous lovers. Production on “Love Is a Gun” is set to begin in early 2019.